Every employer has an ideal candidate in mind at the start of the hiring process. The “Why should we hire you?” question affords you the perfect opportunity to prove you are that candidate. We all hate having to answer this question, but when you consider it from an employer’s perspective you can see why every interviewer asks it. You wouldn’t buy a new car without first doing your homework to ensure you’re getting the best value for your money. It’s the same with an employer. She wants to know that you’re a smart investment, not a lemon she’s going to regret taking on a few months down the road. In order to let the prospective employer know that you’re a smart investment, you need a brilliant response to the “Why should we hire you?” question. Instead of giving you templates or stock answers, we thought we’d give you the tools to craft a custom response of your own. These five steps will help you prepare a pitch that’s guaranteed to dazzle. The inevitable response to the question “How do you get to Carnegie Hall?” is “Practice, practice, practice.” (It’s an old joke.) If practice gets you to Carnegie Hall, then research gets you to a shiny new position with the company of your dreams. The most important step in the process of figuring out how to answer “Why should we hire you?” is researching the company you’re interviewing with. Research will help you uncover the skills and values that are important to the employer. Those will play into your response when you’re asked to demonstrate why you’re the best person to hire. If practice gets you to Carnegie Hall, then research gets you to a shiny new position with the company of your dreams. Check out the employer’s website jobs page. Some even have a culture or mission page. Look at their social media accounts. What’s their online presence like? Take note of any keywords you spot that relate to the company’s culture and values. Take a look at the job listing for the position you’re interviewing for. What essential skills and abilities did the employer name? Grab a piece of paper or open up a document and write them down. Here’s a tip: Identify yourself in the employer’s online writings and job listing. Any time you see something in those documents that makes you think That’s me! That’s why I’m a perfect fit for this job! jot it down. These are the things to highlight in your “Why should we hire you?” pitch. 2 Do a little brainstorming. Now it’s time to brainstorm about what it is that makes you awesome. Researching the employer should have already given you inspiration to help you in this process. In what areas do I match what the employer is looking for? In which of those areas do I truly shine? What are some of my most impressive career accomplishments? What do I have that other candidates probably don’t? Don’t worry about being humble just yet—we’ll take steps to keep your ego in check so you don’t come across as arrogant later. For now, write down all the reasons you rock. 3 Figure out what problem(s) you solve for the employer. The best way to make yourself into a mythical beast known as The Ideal Candidate is to solve a problem for the employer. 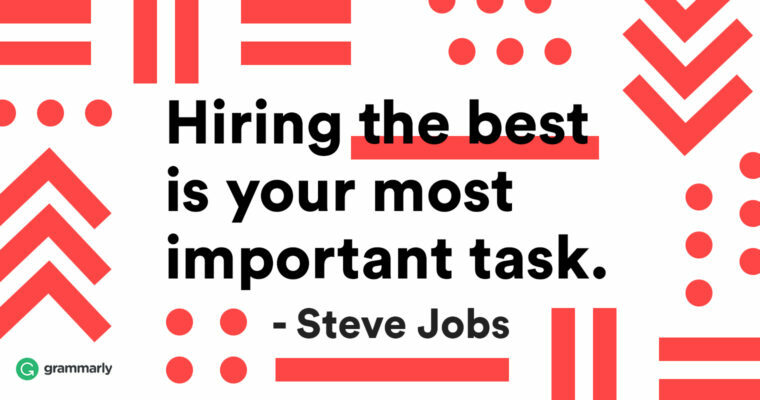 And every employer has at least one, even if it’s just being short-staffed. When you uncover that problem and present yourself in terms of filling a vital need, you show that you’re a forward-thinker with a keen eye for what needs to be done. Who wouldn’t want to hire that person? Look at the job listing again to see if you can find clues (or outright statements) that lead you to the employer’s pain points. If the company’s big enough, you can also look for relevant news articles. Now, jot down the pain point you discovered. Then write down a brief pitch (just a couple of sentences) that explains why hiring you would solve that problem. Super Duper, Inc. received VC funding and is enjoying explosive growth. I have a proven ability to adapt and learn new skills quickly, which means I could fill a variety of roles as needed. Here’s a tip: Think hard about this question so you can be honest in your assessment of why you’re the person to solve the employer’s problem. If your answer doesn’t ring true, the employer’s likely to sense that you’re stretching. Here’s a tip: For inspiration, take a look at Liz Ryan’s article on the Pain Letter. The techniques she uses to uncover an employer’s pain point and demonstrate how you can ease it are similar to the ones you should use to complete this problem-solving step. 4 Draft your answer and practice it. Now that you’ve done some homework and brainstormed some ideas, you’re ready to start pitching yourself as the rockstar you are. Remember speech class in high school? You probably hated it. But you learned a valuable skill. You learned how to take notes and convert them into a presentation. No matter how bad your speech on the social impact of To Kill a Mockingbird might have been back then, you’re not a self-conscious, pubescent wreck anymore—you’ve got this. Ten years of experience (more than most) with SEO-friendly copywriting. Instrumental in writing targeted SEO copy that helped my previous employer’s blog increase its pageviews by 60 percent and time-on-page by 20 percent in one year. Experience across multiple disciplines (copywriting, blogging, journalism, social media) makes me a veritable chameleon, able to fill many roles as needed while the company is growing. Here’s a tip: Think forward. Focus less on your past accomplishments themselves and more on how the things you’ve achieved will benefit the company in the future. Now, with those bullet points in mind, rehearse your “Why should we hire you?” answer out loud. Repeat it until you can deliver it smoothly, without referring to your notes. Hemming and hawing will make you look unprepared or wishy-washy. A smooth delivery, on the other hand, exudes confidence. The last thing you want to do when you’re interviewing is to come across as arrogant. If you oversell yourself, you’ll come across as either suspicious or desperate. The emotions you’re looking for are excitement and confidence. You’re pumped about the prospect of meeting your employer’s needs and solving his problems, and you’re confident you’re the right person to do it. “Why should we hire you?” isn’t a question to fear. Instead, it’s a perfect opportunity to demonstrate what makes you special among a sea of candidates with qualifications similar to yours. Go get ’em!